After a post on Best Investing Blogs India we try to cover the blogs on Technical Trading in Indian Equities. The number of bloggers in India on trading are much higher but the quality of content is not great and most are focused on Levels and post mortem analysis. Very few post technical charts,trading system or any insight in their strategies or a detailed view on Indian Equities/Derivatives. Apart from that quite a lot of bloggers stop updating after a few years. It clearly shows you the survival rate We have tried to list down some of the interesting blogs which focus on trading.We have also covered some sites which are not blogs as such but have good information on trading.Also I barely read any trading blogs, so may have missed out on mentioning interesting ones, Mail me on nooreshtech@analyseindia.com , we will update it in this post. Disclosure - A lot of bloggers would have their advisory services, trainings and other products. Its not a recommendation on the same. We are covering it only from the aspect of educational purpose. P.S - No set order in terms of compiling. Credits to Umang Thakker and Harsh Doshi in our team for compiling the list of blogs and writing a brief on them. Traderji is an online discussion forum for stocks, commodities and forex. It contains articles on very diverse topics from trading and investing, different markets (equities/commodities/forex), methods and strategies, ipo’s and various other tools. One can post any queries or answer other’s query by registering for free. One can find the trending threads or the latest posts by scrolling down to the bottom of the home page to avoid information overload. The author writes on a wide range of topics and has his unique way of analyzing data and presenting it in a simple manner. Author also has a collection called ‘US Blog Roll’ which is a feed from major US blogs on finance and investment. The blog gives a technical view on stock or nifty chart. Apart from this it has a collection of various articles which are written by the author. Easiest way to find the article suitable to you is by looking for various ‘tags’ mentioned on the blog page. Trading QnA is a question answer portal created by Zerodha where people can post any questions about trading in general. Some questions are pertaining to Zerodha’s software but majority of the questions are general in nature which helps the trading community to spark a discussion and get the best answers. One can sort from the ‘most recent’ to the ‘most viewed’ questions from the menu bar or by selecting the tags in which they are interested. The author givestechnical updates on Nifty and Sensex Charts and also some global indices on regular basis. Author also writes other informative posts on trading. Author posts his updates on chart patterns of stocks, commodities and other technical indicators. One should read the popular posts column. 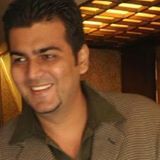 Written by a technical analyst, Himanshu Gupta, he posts charts on his blogs. However the frequency of posting charts in not regular, but the charts posted are clean and easy to understand. One can find frequent posts on his twitter handle. The blog writes on common topics from behavioural biases to market timings and many other such topics which actually helps trader to be a better decision maker. The author has shared many such interesting reads on getting better at trading / investing. Dr C K Narayan is the most experienced Technical Analyst and a Trainer. The author regularly gives his technical views on stocks, index, and currency. Charts are annotated with his views and are easily understandable with proper explanation. Author lays out some short term strategies to trade in stocks and indexes. Apart from posting various charts, author also writes on various technical studies used to analyse charts and explains the same with examples. Though the blog does not post new articles regularly; it has a good collection of articles emphasising on online day trading and futures trading strategies by Mr. SudarshanSukhani. The blog also has some articles on traders psychology and how to avoid common mistakes while trading. This is not exactly a blog but a online training school but has a lot of free videos and webinars on Trading in Equities and Derivatives. Market Gurukul uploads videos on technical analysis and how to use the same for trading. The videos and basic and is available in Hindi language for better understanding. Trader’s carnival is a two day event where trading experts, educators, trading software providers meet together for a conference. The coming up event is on 29th April – 1st May 2017. For list of speakers and topics covered at the conference please visit the website. The blog gives a technical view on the charts of Indian listed companies on a regular basis. It also writes on common topics under the section ‘My Articles’. The website has a ready pivot point calculator on its webpage to help traders calculate support and resistance levels for a stock. Appreciate the link to my blog, Nooresh. Thanks a lot for the list i was searching was such blogs, you made my job easy by listing these many at one place. Great collection shared by you!!!! The content of these blogs is very attractive & helpful which will help investors to invest their hard earned money in trading. Thanks for sharing this information with us…..